Ukraine is a beautiful country with a very diverse and interesting history. There is a ton to do in it's major cities, like Kiev and Lviv, but then there are the charming little gems, like the Tunnel of Love, that make for perfect day trips. Now, Chernobyl is neither a charming gem nor a major city, but we think it is one of the coolest places you can visit in Ukraine! 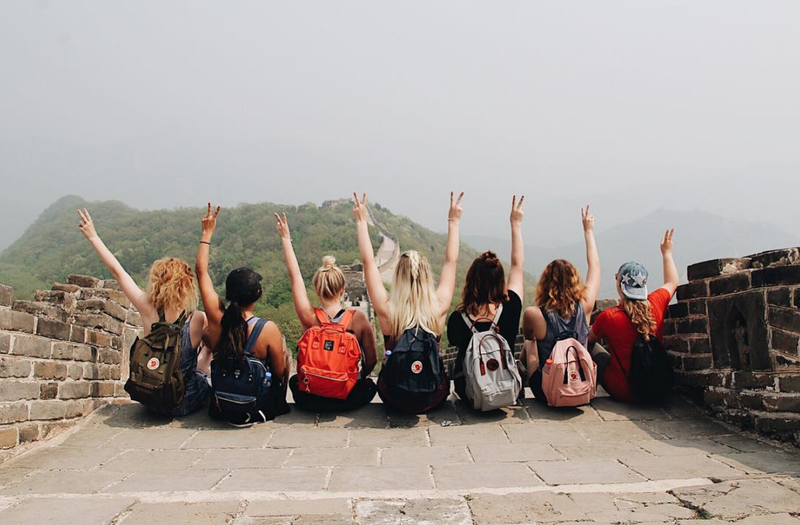 With International Language Programs, you can actually live in Ukraine for an entire semester as an English teaching volunteer! Best part, the program fee is significantly cheaper than study abroad programs. Plus, it covers housing, airfare, your visa, and three meals a day. Crazy, right?! Such a good deal! The story of Chernobyl is no boring history lesson. The Chernobyl Nuclear Power Plant is located near the city of Pripyat, Ukraine and had only been in operation for about a decade before the accident. On April 26, 1986 during a test at 1:30 am to see how much power they would need to keep the plant running in case there was ever a black out, something went terribly wrong. The Chernobyl Nuclear Station exploded, releasing deadly amounts of radioactive chemicals into the air. In the weeks after the explosion, 31 people died from immediate effects of radiation. 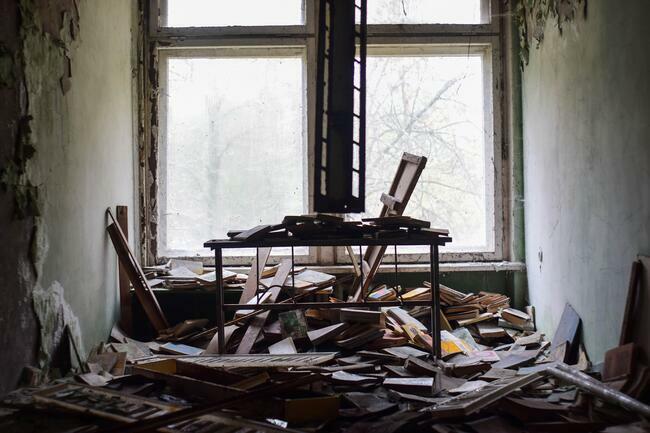 Although attempts have been made to estimate how many Chernobyl-related deaths have occurred in the following decades, it is hard to know for sure. Researchers say it is probably higher than 10,000. The events of Chernobyl are recorded as the most disastrous nuclear power plant accident ever. Many cities were affected by the radioactive chemicals, but Pripyat (the closest city to the plant) was the most devastated. It was home to a majority of the plant workers, and just hours after the explosion many were already sick from the radiation. 49,000 residents from the surrounding areas were forced to evacuate within 24 hours, and a total of 350,000 evacuated in future years. 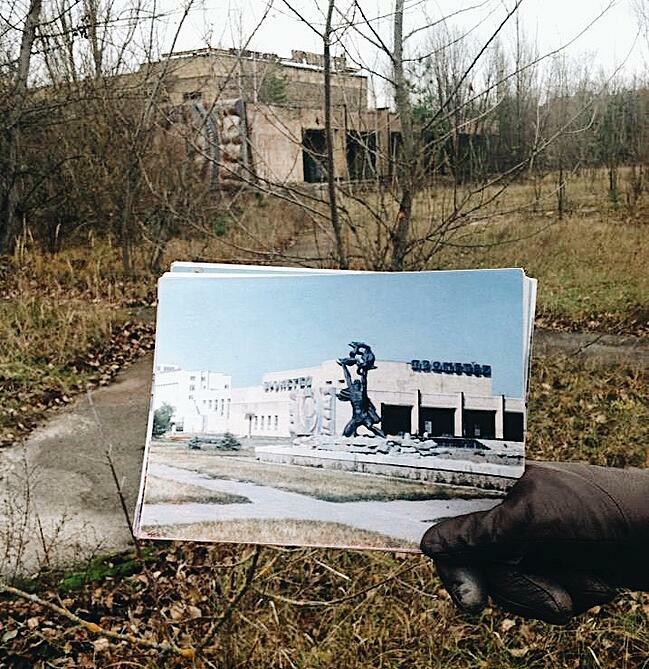 Now, the city of Pripyat is a ghost town, left exactly how it was that day in 1986. You can see the Communist propaganda. The ferris wheel that was going to be in operation for the first time during May Day festivities. The clocks, all stopped at 11:55 when the electricity was cut. It's an eerie and fascinating slice of history not to be missed. 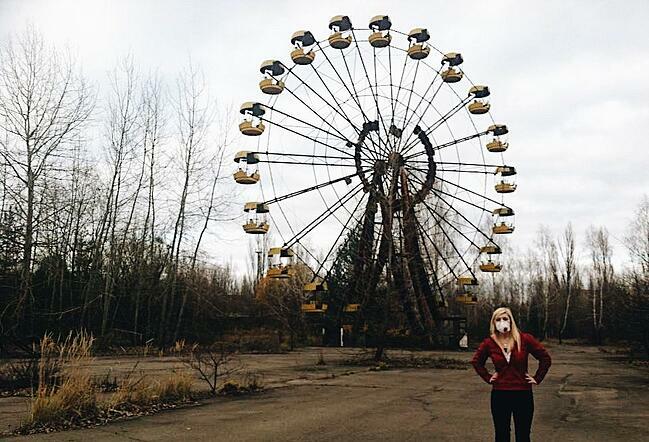 Visitors compare Pripyat to a mummy: it has a body but no soul. If you want to tour the Chernobyl plant or the surrounding cities, you will first need to get a day pass from the government. These passes can be obtained through tour companies. In fact, the easiest (and really the only) way to visit Chernobyl is just to book a tour since they'll take care of all the details for you! Some of our past volunteers have done this and loved the unique experience! They recommended booking your tour through StayinKiev.com. You'll leave from Kiev in the morning, and then get back at about 6 pm. 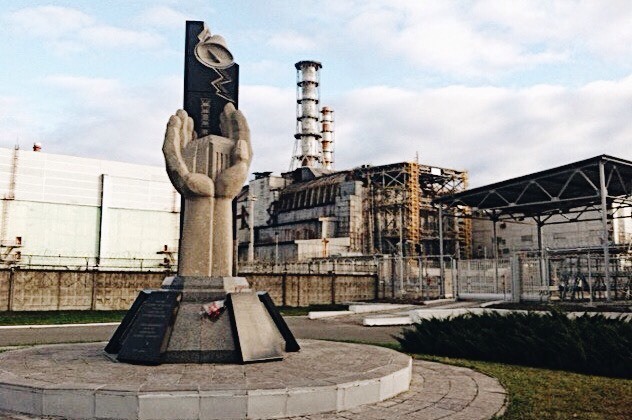 This tour includes many sites around Chernobyl and even serves you lunch (all catered from Kiev). This looks like another great option that is a couple hours longer and includes a few more places. On this tour you will be fed dinner at the end, but the cost is not included and is an extra $5. No matter which tour you choose, it will cost about $100 per person, but come on...how often will you get to experience something like this?! Worth it! And don't worry — it is said to be safe. To keep your mind at ease, the tour ends by checking your radiation levels. Every tour emphasizes the importance of wearing long sleeves and long pants. Other clothing isn't even allowed. You must also wear shoes that fully cover your feet. Boots (with no cutouts) are recommended. Make sure you bring your passport, since those without one won't even be allowed entry. 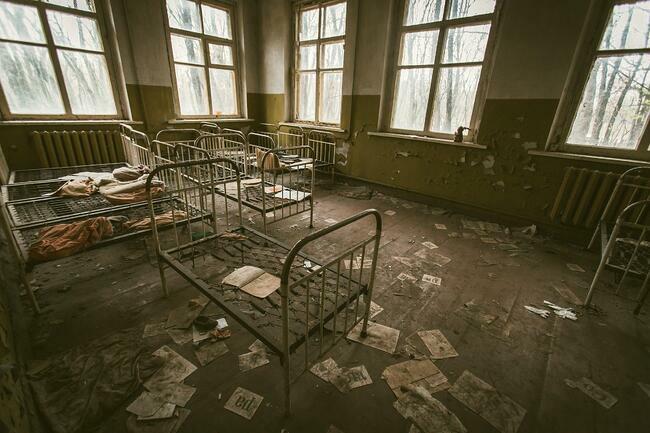 You will also have to sign two documents prior to entering Chernobyl that ensure you will not make any claims against the government or the tour if your health deteriorates in any way following your visit. You'll see tons of other sites in Europe, but there is nothing quite like this. After decades of being abandoned, these towns are starting to be taken over by the surrounding forests, and eventually they will be fully engulfed. Make sure you experience this historical site while you still can! Want to know more about volunteering with ILP? requirements for acceptance and what you'll be doing as a teacher!